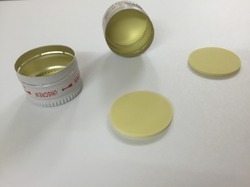 Prominent & Leading Manufacturer from Mumbai, we offer aluminum metal caps for syrup bottles and bottle caps with rubber wad. With a precise understanding of the relevant industry, we introduce ourselves as the leading manufacturer, exporter, trader and supplier of Aluminum Metal Caps for Syrup Bottles. Offered metal cap is precisely manufactured by high grade material and modern techniques. This metal cap is checked on various parameters by our quality experts in order to dispatch a perfect range at customer’s end. The given metal cap is available in different sizes & customized options according to the customer’s requirements. 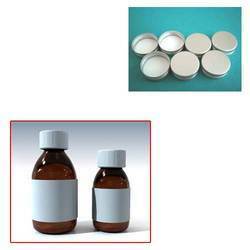 Prominent & leading manufacturer and exporter from mumbai, we offer bottle closures with Bottle Caps with Rubber Wad. Looking for Aluminum Metal Caps for Syrup Bottles ?